CHINI LIVE..Keeping up with the latest Buzz! : What caused the Bomb blast in Festac? What caused the Bomb blast in Festac? 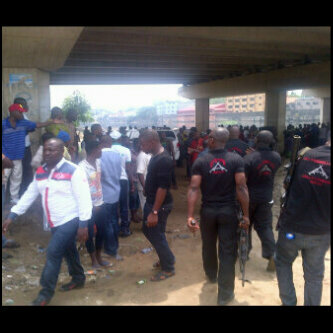 I heard there was a bomb blast under Festac/Mile 2 link bridge earlier today. I prayed for it not be true but unfortunately it is. 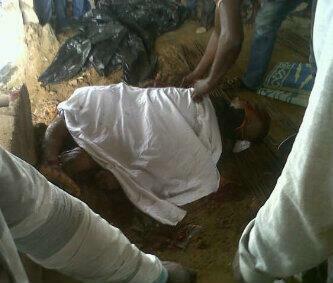 According to P.M.NEWS, a businessman, Oladele Pius, was killed this morning when a bomb exploded as he was passing by. 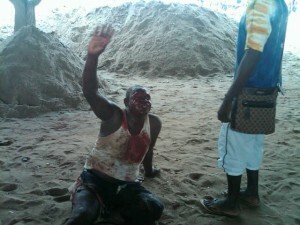 It was also reported that a policeman was seriously injured as his leg was severely damaged. Still fishing for more details... and will keep you posted. Jesus! Don't tell me this boko haram people have gotten to lagos ooo? We don hear am!